3 big trends show why #NRF12 is "Retail's BIG Show"
3 big trends show why #NRF13 is "Retail's BIG Show"
It's easy to see how a newcomer to "Retail's BIG Show" could be a bit overwhelmed. The booths are big, attendance is booming and there are "hot and new" solutions everywhere you turn. But as I've walked the halls and looked at what's being promoted, I've noticed a few trends that matter for marketers in any industry. This event is all about connecting with customers, wherever they are and however they buy. The schedule sign outside the room where SAS' Big !deas sessions will be held shows four of six presentations will cover the topics of omni-channel, multi-channel or cross-channel. The message is loud and clear – it's up to retailers to provide consumers with multiple purchasing and engagement options: online, in stores, on the phone and mobile. And “omni-channel” means that it’s increasingly more than one channel simultaneously. Retail might be leading the way on this, but many other industries could benefit from improving their relationships with customers by making it easier to research, buy and interact with them. 2. Mobile is here to stay. This shouldn't be news to anyone, but it's obvious walking around the halls of the Javits Center. Lori Shafer and former NRF chairman Bernie Brennan discussed this very topic in the EXPO hall. But there are lots of exhibitors here sharing their solutions, too. Everything from in-store point-of-sale transactions to online product catalogs, so mobile is certainly a hot topic this week. Looking at conference-goers' badges is always a fun game at these types of events, as in "Hey, buddy. My eyes are up here!" I've seen lots of company names from retail outlets at my local mall and nearby shopping centers. But I've also seen a lot of smaller and not-well-known company names. It goes to show that the technology on display this week has applications for the Fortune 500 as well as SMBs. 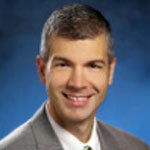 Don't we all want to optimize revenue? Or predict future inventory levels? Or know the best promotional price for a product? I love seeing so many companies embracing technology to work smarter and know how to connect with their customers. Do you think there are lessons here for other industries? Please share a comment and let me know where you can see another application. I've got some more walking around to do, but I'll keep my eyes open for some more trends. 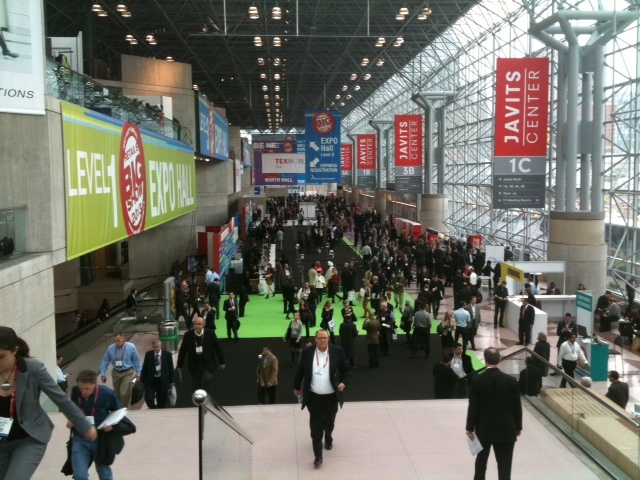 If you want to share any insights you've had at #nrf13, tweet it using the show hashtag and @SASretail. Then, stop by the SAS booth to get a complementary copy of Tom Davenport's latest book, Enterprise Analytics: Optimize Performance, Process, and Decisions Through Big Data. It can help you implement large-scale analytics faster, avoid serious missteps and capture far more value.